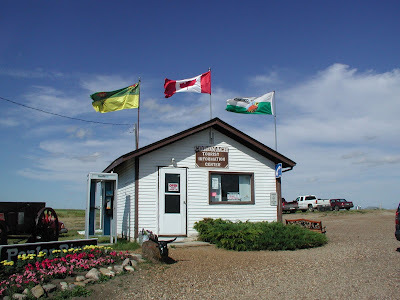 Coronach, Saskatchewan is located 10 km north of the US border. Sue Frause photo. According to an article in the The Fiji Times Online, Fiji is losing 41 of its nationals every month to Canada. Statistics Canada reports that between 2001-2006, 2,455 people relocated from Fiji to Canada. Most of them end set up residing in British Columbia.